Hepatica Hawks by Rachel Field. New York. MacMillan. 1964. Sixteenth Printing. Hardcover. Very Good in Very Good dust jacket. Illustrated by Allen Lewis. DJ is worn at edges. 239 pages. 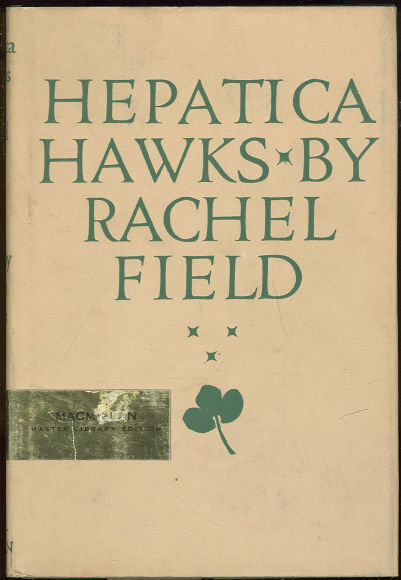 Items Similar To "Hepatica Hawks by Rachel Field 1964 with Dust Jacket"